The benefits and scope that banking sector provides are not hidden from anyone. And this is the reason that each year so many candidates apply for the different bank exams conducted all across India. Banking sector not only keeps the doors of growth open, but also offers handsome salary package, job security, variety, perks, and most importantly job satisfaction. When one can get so much and much more from a Banking Job, why would not anyone consider having a career in banking sector. Though pursuing a career in the banking sector is lucrative, however getting a job in the sector is not a cakewalk. One needs to crack a bank exam as per his/her desired position. There are various bank exams conducted each year by the designated authorities, details of which are provided below. IBPS PO exam is one of the most sought-after banking exams. The exam is conducted by the IBPS every year for the post of Probationary Officer. The work profile of PO is as an Assistant Manager on probation. A Probationary Officer is generally called as Scale 1 officer as he/she is in Junior Management Grade-1 (JMG-Scale 1). Selected candidates are called for the Interview round. The marks of both Mains and Interview are combined in a ratio of 80:20 and are considered for the final score of a candidate. To get complete details about the IBPS PO exam, click here. Preliminary Examination is based on three subjects Reasoning Ability, Quantitative Aptitude, and English Language. The numbers of questions asked in these subjects are 35, 35, and 30 respectively. Each question from every subject carries 1 mark and the total duration of the exam is 60 Minutes (1 hour). IBPS RRB exam is specifically held for the aspirants looking to get recruited in Regional Rural Banks or Gramin Banks in the country. This exam is conducted on the behalf of more than 60 Regional Rural Banks for the post of Group-A Officers (Scale I, II, III) and Group-B Assistants (Multipurpose). The final recruitment of the candidates is done autonomously by every participating RRB, specifying the number of vacancies and eligibility criteria. The IBPS RRB exam is held for different posts, details for which are given below. Click here to Read full article on IBPS RRB Exam. IBPS clerk exam is conducted for Clerical cadreposts. The exam is held in two stages – Preliminary exam and Main examination. Candidates must qualify Preliminary exam in order to qualify for the main examination. The Preliminary exam consists of 100 questions (1 marks each) and the duration of the exam is 1 hour. The exam is mainly based on the English Language, Quantitative Aptitude and Reasoning Ability. Read more about IBPS Clerk Exam details here. 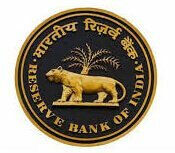 Reserve Bank of India, the most reputed places to work in India conducts the exam for the post of Grad-B officers. The exam is mainly held in 3 Phases. In Phase-I examination, the exam is mainly based on Reasoning, General Awareness, Quantitative Aptitude, and English Language. The total number of questions asked in Phase-I are 200 of 1 mark each. On the other hand, Phase-II exam consists of 3 Papers - Economic and Social, English (Writing Skills), and Finance & Management. Phase-II exam is of 300 marks. Based on their marks in both Phase-I and Phase-II, candidates are called for the final round i.e Interview.